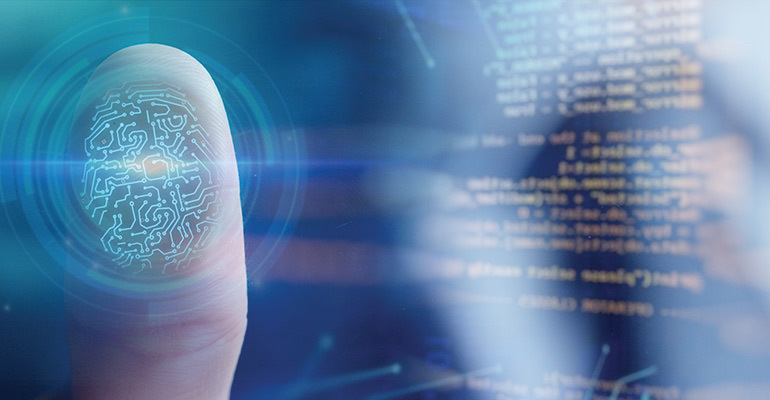 Machine learning technology is advancing to the point that some card issuers and processors are using it to predict where fraud is happening and where it will emerge. Though still in its early days, community banks are looking at how they might implement this technology. As card crooks grow ever more sophisticated in how they perpetrate fraud, retail banks and their providers are upping their own game in trying to determine where malfeasance is happening—and even where it might happen next. While this sounds like fodder for a science-fiction film, financial institutions are embracing machine learning, or artificial intelligence in its advanced versions, to help more effectively pinpoint fraudulent card transactions or find cardholder data that may be for sale on the dark web, the online black market. With the vast stores of payment card, transactional, personal, demographic and historical fraud data to work from, card-issuing banks already have a lot of information to help them determine the direction of fraudulent activity. RBC began working with Terbium Labs, a Baltimore-based cyber vendor that specializes in monitoring dark web data, to help the bank’s Vanguard unit better analyze the cards and cardholders that have already been compromised in order to develop candidate groups, or potential fraud victims identified using previous crime patterns and current black market data. Card-issuing banks, their processors and service providers have been using neural networks—the predecessor technology to machine learning—for decades. But, as the advent of chip-based cards made it more difficult for crooks to clone cards or commit real-world fraud, card-not-present (CNP) fraud blew up. In response, card issuers and their partners are increasingly turning to new technology to help track down actual fraud, as well as predict future fraud. Cyber developer Tender Armor recently commissioned PG Research & Advisory Services to research the cost of fraud in CNP payment channels, which now represent more than 70 percent of total gross-dollar volumes of fraud on payment card accounts. Their research found that there are 3.6 fraudulent card transactions on average before the fraud is caught and stopped. CNP transactions make up nearly 30 percent of total credit and debit card purchase volume, and that percentage is continuing to increase as consumers increase their use of e-commerce. U.S. banks and merchants are anticipated to see more than $12 billion in credit, debit, prepaid and private-label payment cards losses thanks to fraud by 2020, according to The Nilson Report. Chris Cook, chief administrative officer and executive vice president for $200 million-asset Farmers Bank & Trust in Marion, Ky., says his community bank may not be at the stage of looking ahead in its card fraud products. Working with card service provider CSI Inc., the community bank is “constantly monitoring the card base activity … looking for geographic anomalies or [transactions] that are outside of a customer’s normal activity,” he says. Jordan Blake, vice president of products for BehavioSec, says retail banks have increasingly relied on artificial intelligence to detect and prevent fraud. “The technologies allow for the automated discovery of patterns across large volumes of transactions, which give banks the power to efficiently determine which transactions are likely to be fraudulent while reducing false positives,” he says. In addition to fraud, community banks are looking to improve their “false positive” record, Cook says.